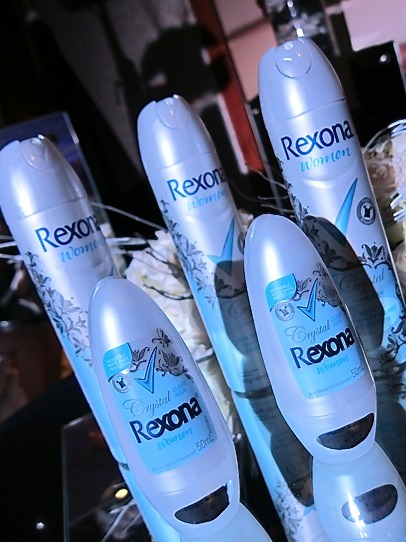 there's a new deo in town and it's called rexona crystal. and to prove even further that it does work, host bianca valerio and a rep from rexona showed how "brand X" left white marks on the left side of the black velvet board (held by two models), but was completely clear on the right side, on which rexona crystal was used. so if you like to wear black, this is for you. available in aerosol and roll-on versions.